1. When the wizard starts enter a store name. 6. Once the store is created it will give you the web browser URL that you can use to access it. Also take note that to access StoreFront from a web browser you must append “Web” to the store URL, as the URL shows below. Don’t try going to /Citrix/Store as that won’t work. 8. 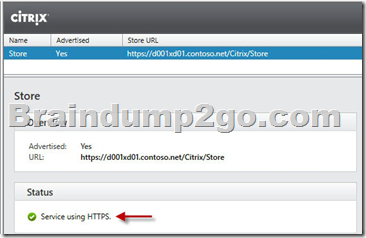 Back in the StoreFront console, after refreshing, you can see that the service is using HTTPS. 9. One quick tweak to make authentication easier is to set a default domain. 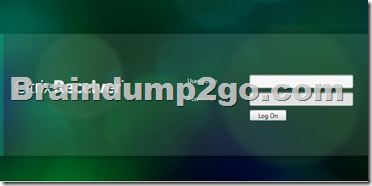 This way the user doesn’t have to enter a domain when authenticating to the StoreFront web site. 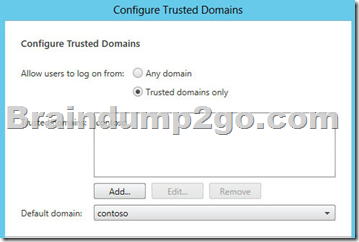 Locate the Authentication node, then in the right pane click on Configure Trusted Domains. And that’s pretty much it to get an operational StoreFront. 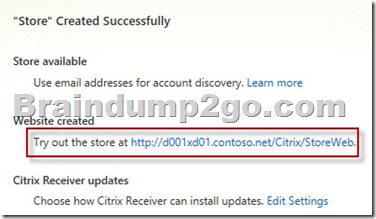 If you open your browser and go to the full web store URL you should get a green bubbly Citrix receiver page. 1. When a new Delivery Group is created it will list all of your machine catalogs. It lists the number of computers in that catalog and one can choose how many to assign to my delivery group. You need not put all of the computers into a single delivery group. 2. Next up choose what combination of desktops and applications you want to deliver. 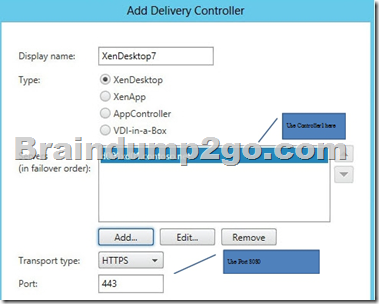 But here you could assign the same desktop VM to everyone, but have different delivery groups that customize the mix of XenApp applications they get delivered. 3. Now you have to define what users or groups are part of the delivery group. 4. 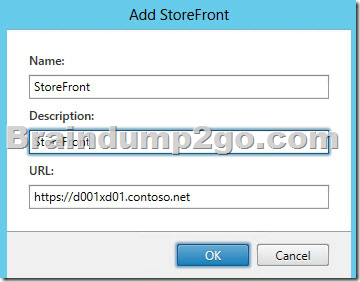 An optional step at this point is to define the StoreFront server(s) which the Receiver inside of the desktop will be configured to use. 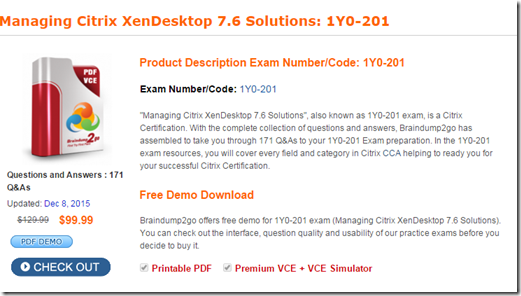 A great feature if you are using XenApp, or perhaps have another XenDesktop farm for R&D that some users should have access to. 5. 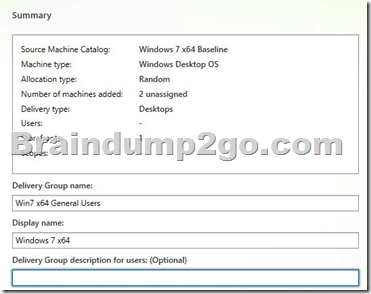 The final step is configuring a Delivery Group name, and a display name. The display name is something users will see, so keep it simple. 6. And that’s it! 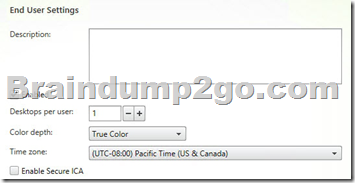 A few seconds later you will have a nice delivery group in your console. In the right hand column make sure your VMs show a Registered state. If not, then you may have some networking (DHCP, DNS) or other issues preventing the VDA from properly communicating with the desktop controller. 7. Once the delivery group is created, you can Edit it and find more options that weren’t presented during the simplified wizard. For example, you can allow a user to access more than one desktop from the pool, change the color depth, time zone, and secure the ICA protocol with some lightweight encryption.